Three of the best taken at the wildlife pond yesterday. Water Lily – Not sure of the varieties? Not sure of the variety as they were given to me by a kind neighbour. All I did was take a couple of shoots from the parent plant last April and planted them in a plastic basket filled with regular garden soil and covered the top with gravel. They sit on the bottom of the pond about 2 feet down. It’s a good idea to cover the top of the basket with gravel just to make sure the soil doesn’t float out into the pond. When I planted them last April I had no idea I had two different varieties, which made for a lovely surprise when they produced these gorgeous blooms earlier this week. 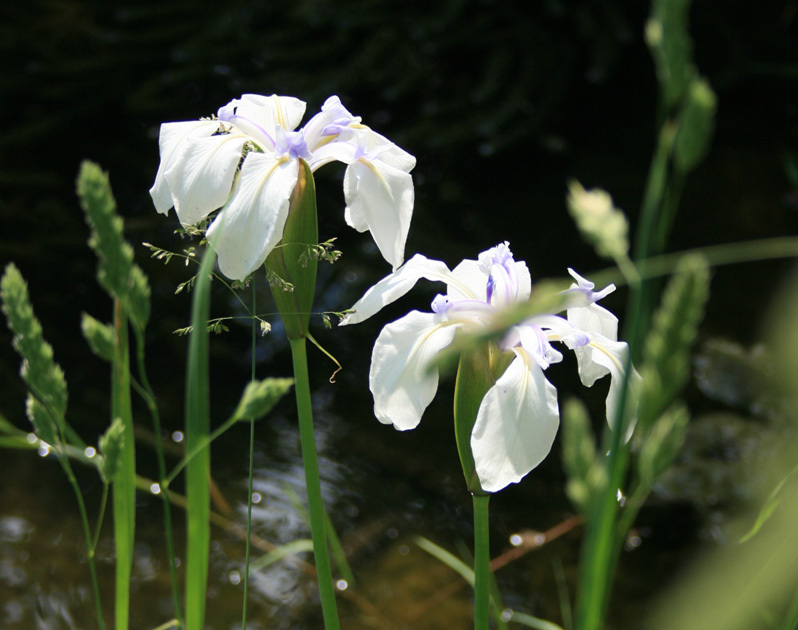 Water iris make a great marginal plant for any garden pond. 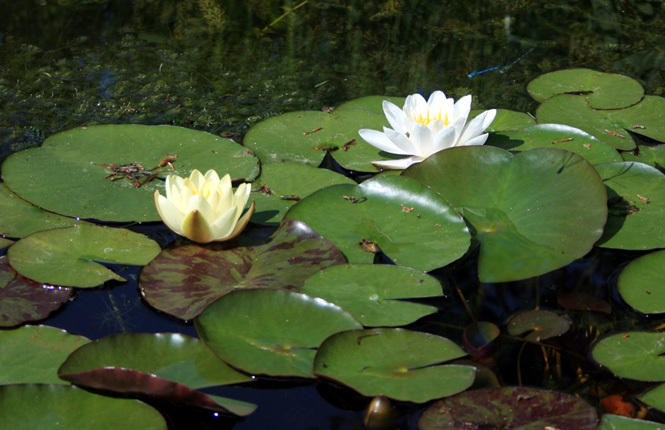 You can grow them in a basket just like the lillies, but I prefer to plant straight into the soil on the slopes of the pond. Just make sure you keep the roots in water, or at least really damp soil and they will repay you handsomely with these wonderful ‘blousey’ flowers. 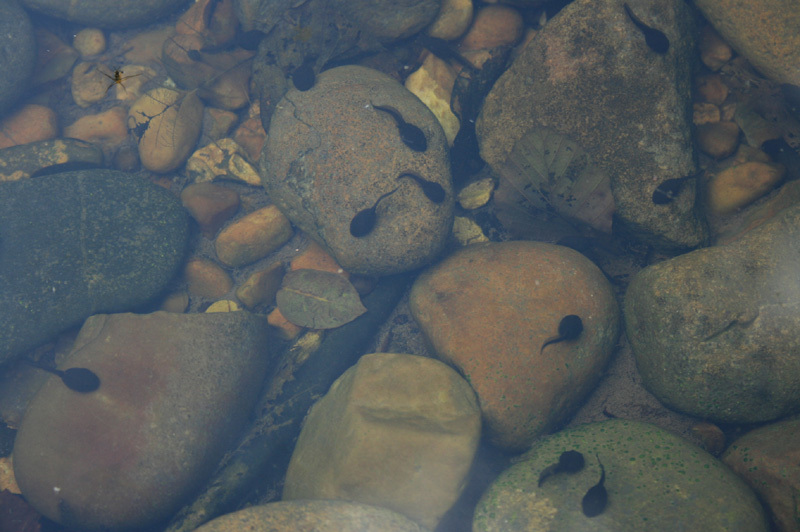 Just had to include a pic of the latest additions to the pond wildlife! Some of the larger ones have started to grow their back legs, and the sunshine has brought them out to the edges, which I think is to do with the temperature of the water being that bit higher around the shallow edges.